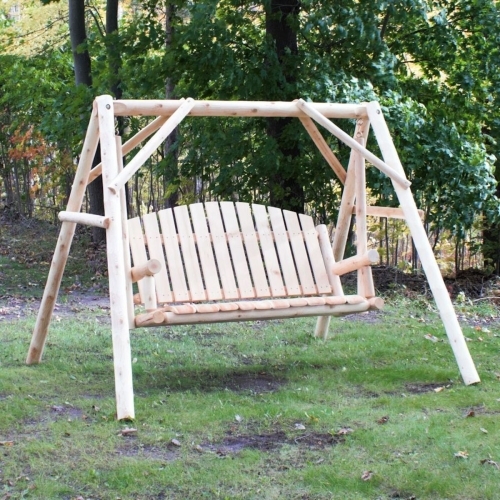 This unique swing from Lakeland Mills is perfect for those who like to swing at their own pace. 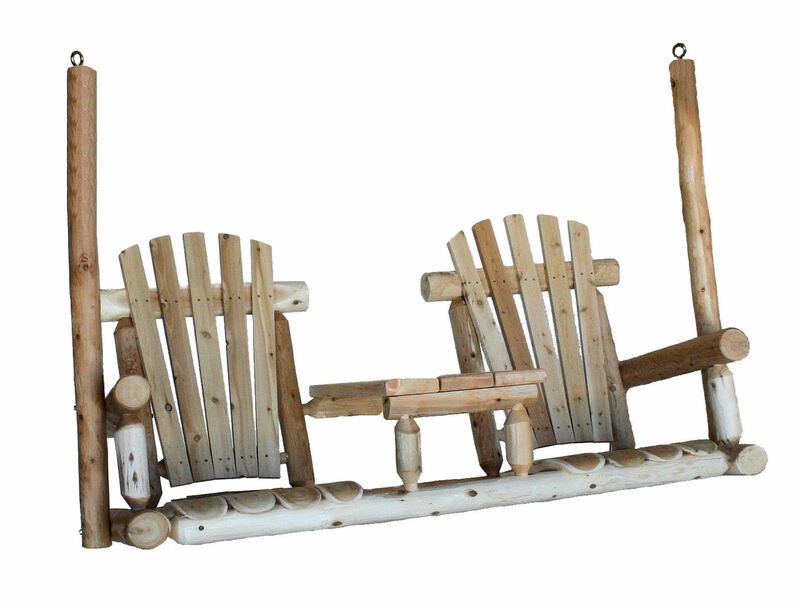 The Double Chair Swing features two individual swings that swing independently, talk about freedom! If space is an issue, try the Single Chair Porch Swing. Perfect for small porches, decks, even from a tree that just so happens to have that perfect branch to hang it from. Made with our signature contoured seat slats for maximum comfort. Just to sit in one of these swings, is to want one. There are many imported ‘look-alikes’ out there made from Chinese Fir. They may be cheaper, but they are far inferior. Chinese Fir is not insect or rot resistant, and is also inferior in strength as well. Imported wood furniture must be treated with chemicals before even being allowed to enter the US, and there still is no guarantee that it killed all of the bugs or eggs inside the wood. These insects have been known to wreak havoc in our own forests. 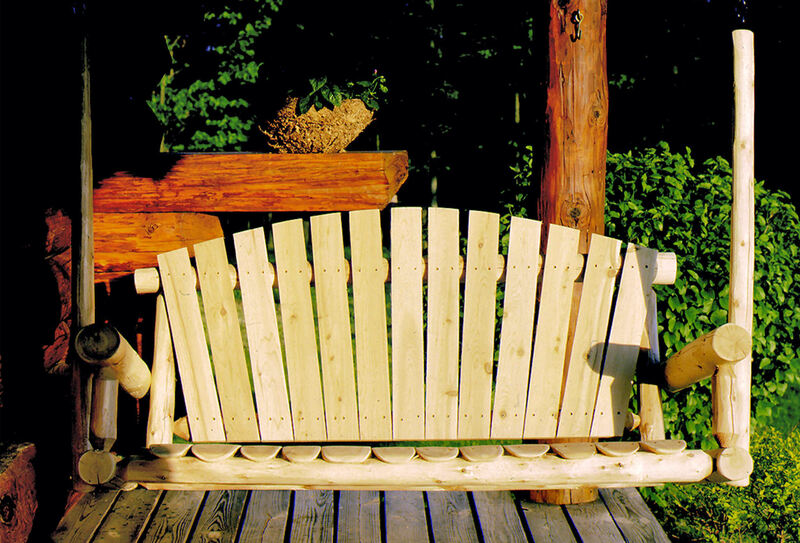 A piece of outdoor furniture made from Chinese Fir will last an average of 1-3 years. 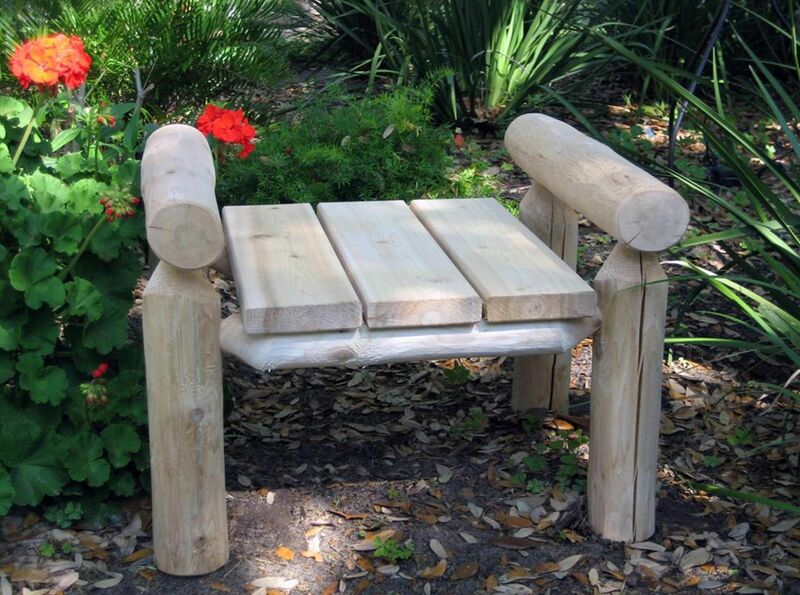 Log furniture made from Pine is not as resilient those made from Cedar. Pine is not naturally resistant to rot and insects. Pine furniture will last on average 3-7 years in the elements. 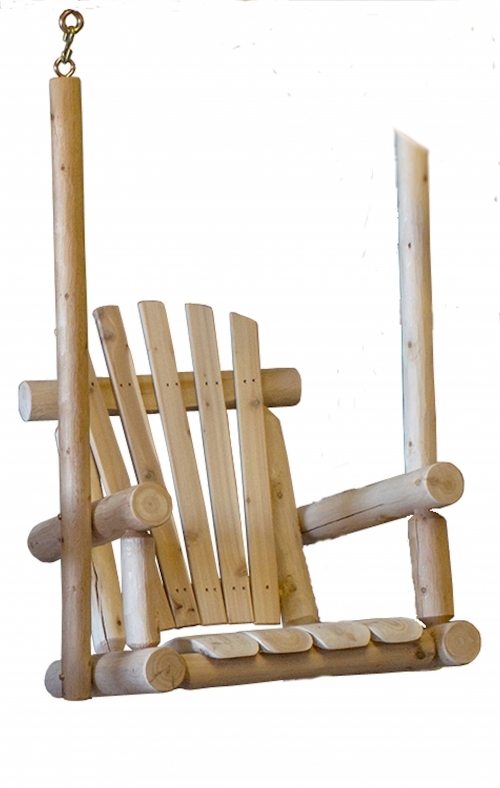 Log furniture made from Northern White Cedar, like those made by Lakeland Mills, will last between 10 and 20 years, and in some cases, even longer. Our furniture is strong and durable. Our furniture is affordable and economical. Our furniture is made in the USA with native trees. Our furniture is built and promoted by people who take pride in our products.• Northern White Cedar is naturally rot resistant. 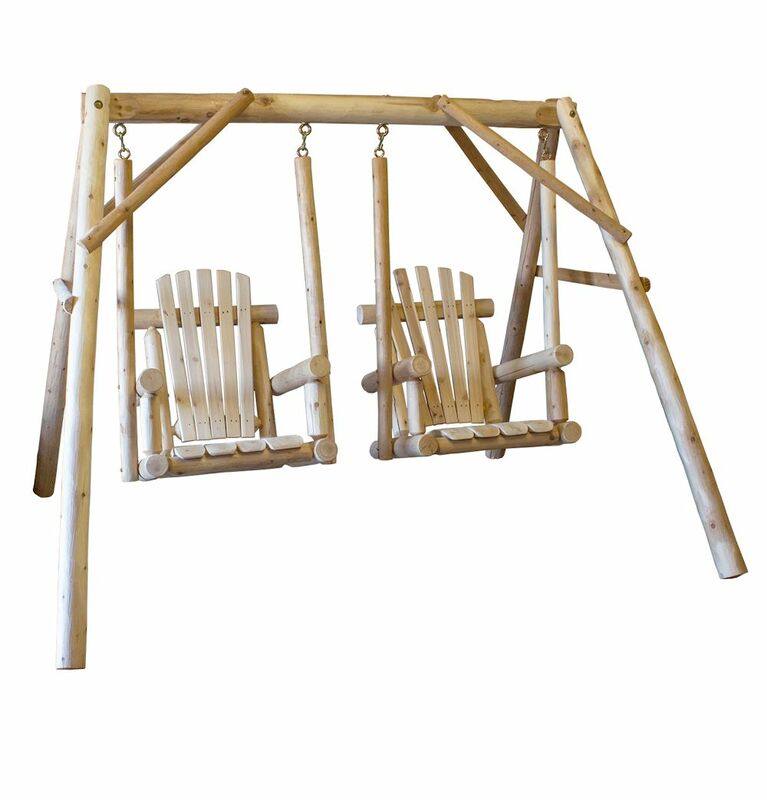 Our swings are made from Northern White Cedar, a naturally rot and insect resistant wood. Left untreated, it will weather to a silvery grey. Cracks, or ‘checks’, only add to the rustic appeal. Checking occurs as moisture is released while the wood is seasoned. Checking will occur across or through the growth rings, and can crack as far in as the core. Rarely will cracks cross the heart. Checks can be small slivers, or run the length of a log. These splits do not affect the strength or integrity of the wood, and are not considered defects. 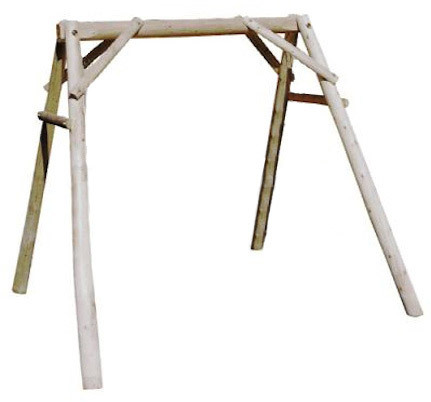 • Northern White Cedar is naturally rot resistant..
• Easy to assemble with common tools. • Our Products are made in the USA! • Strong, sturdy and durable. • Contoured seat slats for maximum comfort.